Coates & Coates Accountants - Accountancy Services throughout North Lincolnshire. 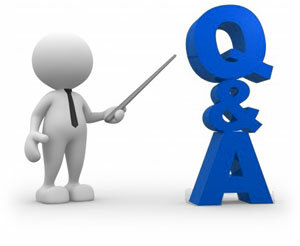 A: If your existing Accountant is offering you an excellent pro-active service at a fair Fee then stick with them. However, different Accountants will save you different amounts of Tax and provide different levels of Business advice. If your present Accountant doesn't offer the type of service or advice you want, then changing over to us is very easy. It involves just one letter from you and we take care of everything else for you. Your existing Accountant is not usually allowed to charge you for providing the normal handover information. A: Absolutely Not! - We offer agreed Fixed Fees linked to the value of what we provide. We're not always the cheapest and as with many things in life the cheapest is often the most expensive in the long run. However, we are not expensive and we offer excellent value for what we provide. Most importantly we never undertake work without agreeing the Fee with you in advance, so you always know where you stand. A: We can't stress enough the importance of Tax planning at an early stage. Ideally you do Tax planning before the year even starts but failing that, the earlier the better. The same is with all areas of advice and we are here to help you plan and change the future, not just to report on the past. Q: I seem to be paying an awful lot of Tax. Can you help to get this down for me? A: This is a resounding YES! –Very, very rarely do we come across new Clients where we cannot save them any Tax. In fact, we will go as far to say that if we cannot reduce your current Tax Bills, then really you ought not to be considering appointing us as your new Accountants! Q: Is your Fixed Fee quote guaranteed for more than one year? A: We're not in the business of providing low quotes just to get your business for the first year and then raising the Fees. We want you as a long term Client who trusts us to do what we say we will do. We quote what we anticipate to be a fair Fee for the value provided and would only anticipate normal inflationary increases if the work stays the same. Very occasionally there may be reasons why the amount of work involved exceeded what was expected but we would sit down and discuss these with you. Copyright 2013 - 2019 Coates & Coates Accountants - Accountancy services in Goole, Selby and throughout East Yorkshire.